For some new teams, the wait was over last week. For others, this weekend is what they’ve waited all summer for. For the second time in as many weeks, new-look curling teams are hitting the ice for the first time with their new lineups. And as with most World Curling Tour events, there’s a lot of money and valuable points on the line. 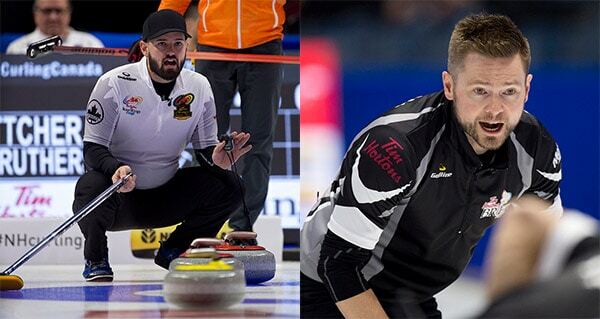 Winnipeg’s Reid Carruthers and his new teammate Mike McEwen headline the newly mixed-up squads at the AMJ Campbell Shorty Jenkins Classic in Cornwall, Ont. 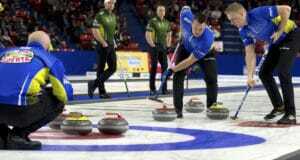 Carruthers will skip and throw third, while McEwen will throw the last rocks. 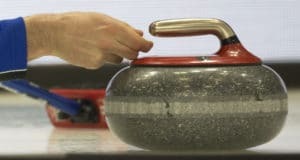 While Team Carruthers is working out the kinks with one new player, there is another foursome put together from all corners of the country, now playing out of Ontario, taking their new lineup for a test drive. 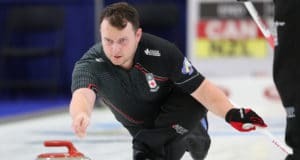 Charley Thomas (formerly of Alberta), Adam Casey (played at the Tim Hortons Brier for Newfoundland and Labrador, Prince Edward Island and Saskatchewan), Pat Janssen (Ontario), and Fraser Reid (Ontario) are playing in the Shorty, but dropped their first game to USA’s John Shuster. Brad Jacobs and his Sault Ste. Marie, Ont. team are the defending champions of this 24-team event, but they haven’t brought on any new players. The purse for the men’s side of the event is $59,000, and will be split among the eight qualifying teams. On the women’s side, the new-look lineup of Tracy Fleury is on display in Cornwall, as are a few international teams who have also shaken things up. Switzerland’s Binia Feltscher and Silvana Tirinzoni have both shuffled lineups and brought in new players. The women’s event of the Shorty Jenkins Classic has 18 teams and a purse of $34,500. In Saskatoon, Team Jennifer Jones (Winnipeg) will make its season debut at the Colonial Square Ladies Classic. Jones has picked up Jocelyn Peterman to replace longtime second Jill Officer. Also in the 18-team field is Allison Flaxey’s new squad (also out of Winnipeg), fresh off a 2-2 performance at last week’s HDF Insurance Shoot-Out in Edmonton. The purse in Saskatoon is $27,000. Finally in Maple Ridge, B.C., two-time Canadian Junior Champion Tyler Tardi tests out his new squad featuring a relocated Ontario champion, Matt Hall, at second. They’ll be in the 12-team King Cash Spiel playing for a share of $9,600.